Home > Aalto Vases > Iittala Aalto Clear Vase - 3-3/4"
Reviews of Iittala Aalto Clear Vase - 3-3/4"
The AALTO vase was a wedding gift. My friend and her husband loved it. 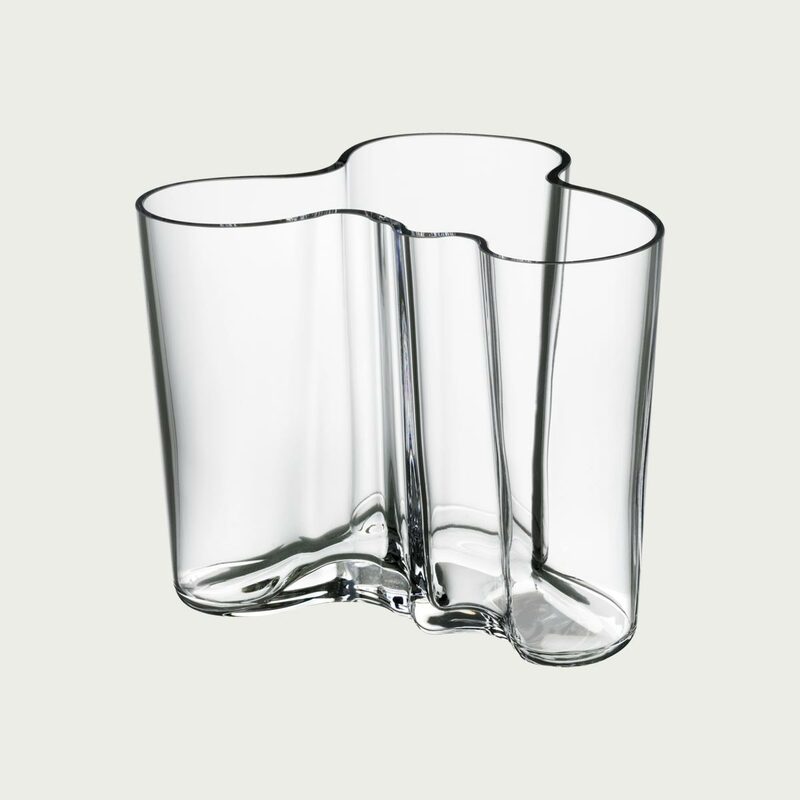 My husband always gave Aalto vases as wedding gifts to his architect friends and I'm going to keep up the tradition. A surprised gift that was deeply appreciated! The order was our anniversary gift for a couple of architects. They love it!!! The branded graphics on the box and the little pamphlet about the design and Aalto added nice and special touches to the entire package. The order came in on time and it was very well packaged. We appreciate your "no-nonsense" swift service! Love the fact that it was FREE SHIPPING!!! Your website is very easy to navigate. Thank you.